Knit Simple Holiday 2014 on the Shelves! Can you imagine my excitement when Dan brought the mail in today and there was my very own copy of the newest Knit Simple containing 2 designs by me! Both the Child’s Fox Coat and the Birdie Wrap Blankets turned out so great, and look beautiful in the magazine. I have some plans for future expansions on these patterns including an all garter version of the Child’s Fox Coat and a pajama bag and play mat version of the Birdie Wrap Blanket. I’ve been so caught up in other projects that I have not gotten to these yet, but as my future is coming more into focus I will be carving out less time for magazine proposals and more time to update and maintain my website. 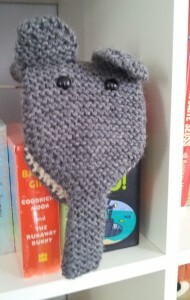 Say hello to my little friend, Harry Elephante. He’s been sitting on a shelf eagerly awaiting his turn to be played with, and now that ax is about 6 months old I think its time for these guys to become pals. I don’t want Max to be the only one to have fun though. I’m finally getting this pattern together to be released to the world…for FREE. Harry is really easy to make, and he was meant to be that way. 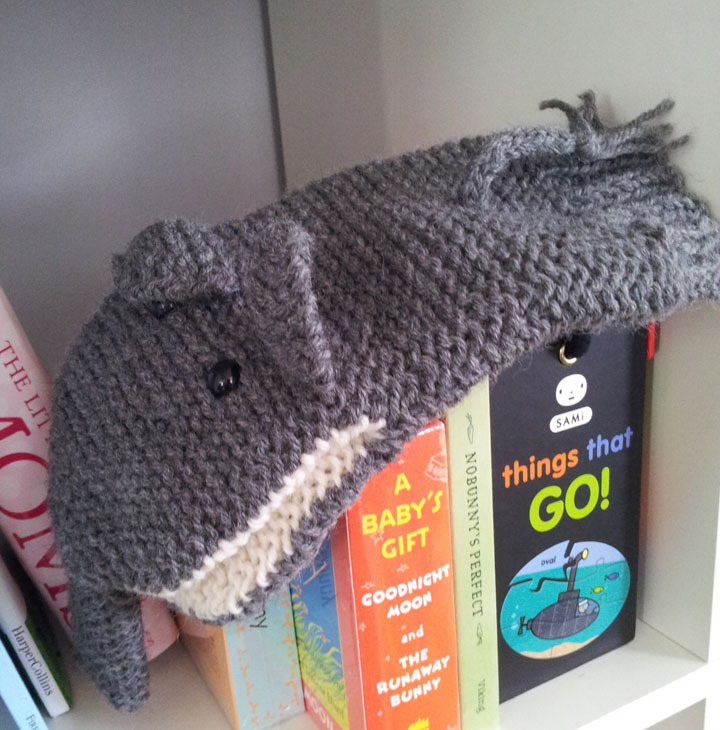 I knit him flat and sewed him together. Added the little ears, tail and safety eyes. Now the only thing left to do is get the pattern tech edited and on the move. I think he’ll need some friends to play with, so keep on the look out for more members of Harry’s band! Today is a good day! I mean everyday you wake up on earth is a good day, but today is an especially good day. First off, I can post to this blog because my wonderful husband is working hard on my website and things are coming together. My son also slept a full 10 hours last night. Yes, you read this last sentence correctly 10 hours. Life is good, and most of all I got an email from Shannon of Cooperative Press saying Sailor’s Valentine is almost complete. 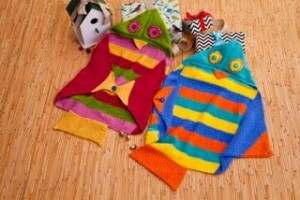 This is very exciting because knitters will finally get to see the Gull Cardigan. In the meantime, in honor of the book being released I am going to design a little gansey for my sweet Max! Im not necessarily going to go traditional with this gansey because I want to try out a new technique. 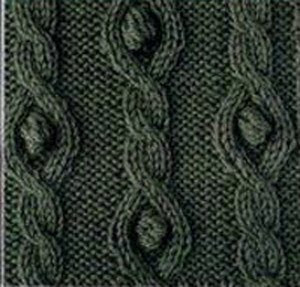 I found a tutorial on How to Crochet Bobbles, and it changes my whole outlook on cables with bobbles. I mean I’m not a particularly lazy knitter, but honestly the idea of working on a sweater that will take me to the next century going bobble by bobble does not appeal to me. I can’t wait to post the swatch I make and share how my first practice went! After more than a year of working on the idea for this website you would think I would have lots to say. The issue you is I have alot to say, but honestly who has time to read it? In the essence of doing everyone a favor here I thought I would start this blog and this year with a little summary of what I’ve been doing, and what I hope to share with you through this blog. 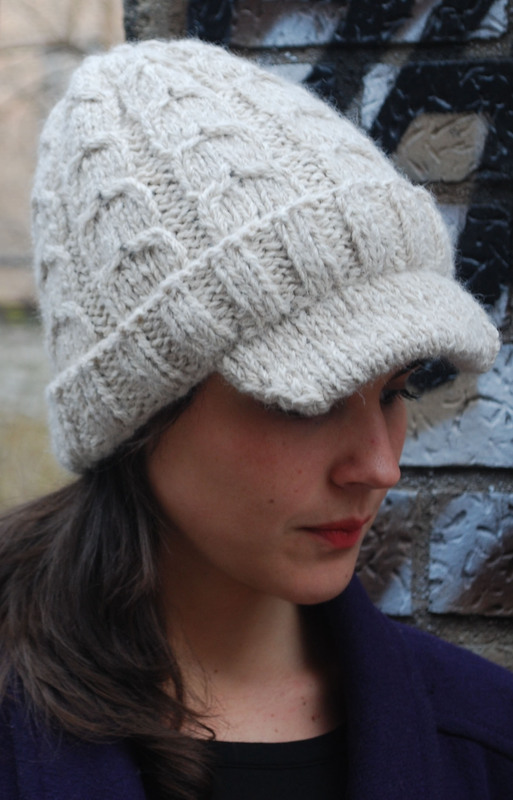 In December 2011 I got serious about putting together a website that could be not only a showcase for patterns, but eventually become a resource for knitters. WIth the help of my amazing programmer husband I had hoped to develop some ideas for online and mobile app type tools that would be useful for knitters of all skill levels. Of course developing a tool like this is not just as simple as saying “I want X so make it so”. So while there is a tools section of this website, those applications are being developed, and I hope once they are done that they will help build the community part pf this website. We are working on a pattern row counter that actually has a built in library. This library would be a place that users could subscribe to and post there own stitch patterns that others could download and use. Think of it like a online and mobile Barbara Walker Dictionary that you could access from any device. 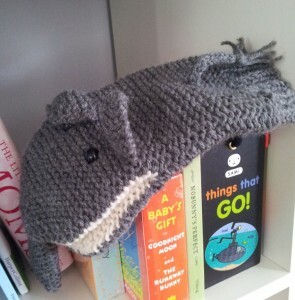 In the mean time….I’ve been working on publishing patterns through my own Ravelry store, magazines, and book compilations. I even have my own book proposal that I completed in early December. I’ve been anxiously sending it out to agents and publishers alike, and my hope is it will find a home soon. While I keep on submitting proposals to magazines, publishing my own patterns, and shopping around my book I hope to uncover and share as much inspiration with you as possible. Our world is full of inspiring material, and often goes unnoticed. Hopefully I can bring some of that material to the surface , and we can decide together where to take it!